One dead, washed up creature has nothing on this crazy hairless Texas monster. Cuero, Texas is a hot bed for Chupacabra action. 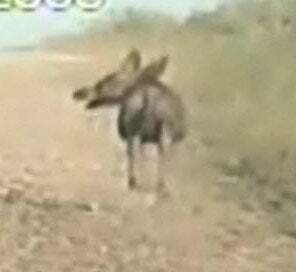 One incredibly busy police officer managed to catch a supposed chupacabra on camera from his trusty cruiser camera. One big problem: the mutant chupacabra are notoriously nocturnal creatures. You be the judge, the full CNN footage is after the jump.